Angel is one of hundreds of children who die each year because of that awful thing called cancer. As hard as it is for us to know that Angel will never to get live her dream of doing makeup on Broadway, it is even more heartbreaking that she is just one of hundreds of children who will never dream again. We never want to forget those beautiful children. Please take a minute to look look through Our Wall of Angels and learn a bit more about each of these precious children and the dreams they never got to live. Also, say a special prayer for the families and friends who had to say goodbye. 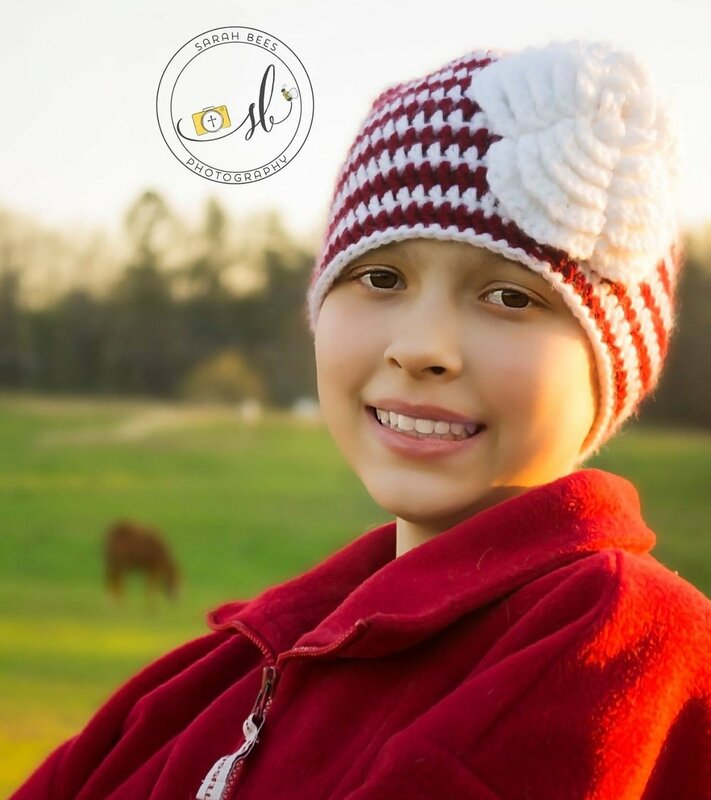 Savanna was was diagnosed with osteosarcoma about a month before her 13th birthday. She passed away 15 months later at the age of 14. She had a few favorite colors, but her most favorite was light turquoise. According to her mother, "Savanna was always smiling, laughing, and hardly ever complained. She loved to help around the house and even helped her Dad put on a metal roof on a building one time. She always asked if there was anything she could do to help us. She was a special child." Savanna's passion was dancing. She had started dancing since the day she learned how to walk at a year old. She started taking dancing at the age of 5-6 years old and absolutely loved it. She had planned on going to college on a dancing scholarship and her dream was to someday be a New York Radio City Rockette, but cancer took that dream away. "Savanna lived life to the fullest and was always the bright light to our family and to everyone she came in contact with," said her mom. "She loved GOD with her whole heart and wanted everyone else to know him, too." We will never forget Savanna!! Blake was 17 when he was diagnosed with Epithelioid Sarcoma. He died a few years later at age 20. 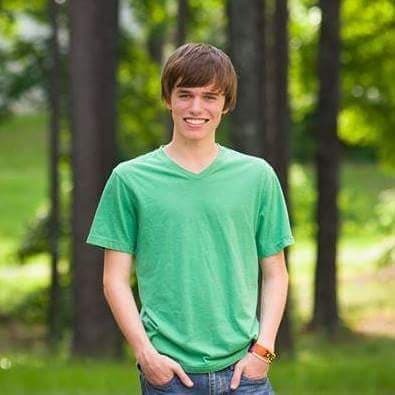 Blake's favorite color was purple and he loved to play video games, read books and listen to music. His smile was the first thing people noticed about him. "He had a beautiful smile," said his mom. "I want people to remember his heart and kindness. He would give you the jacket off his back....and he has. He thought of others above his own needs." Blake wanted to pursue a job in the music field, either production or something similar. Cancer cut his dreams short. We will never forget Blake!! Madigan was 12 when she was diagnosed wth leukemia. She was 15 when God called her home. Her favorite color is pink and she loved to play animal jam and play wth her dogs. She also loved to play Xbox wth her brothers and dance wth them, too. Madigan's favorite quote was, "Do I have to, mom? Why don’t you eat the hospital food?" 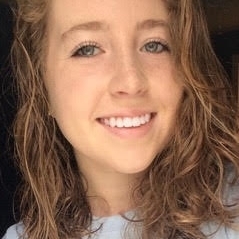 Madigan's mom wants her to be remembered by "her compassionate and giving spirit and her captivating smile." Madigan wanted to become a vet and work wth animals, a dream that won't ever come true because of cancer. We will never forget Madigan!! 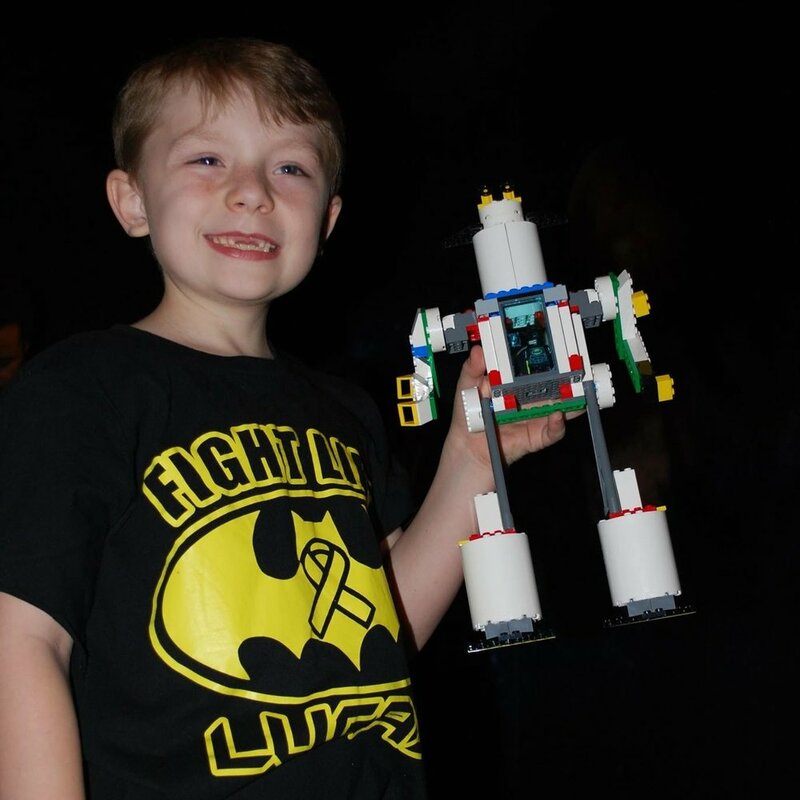 Lucas was diagnosed with Acute Lymphoblastic Leukemia T-Cell (“Philadelphia-Like”) chromosome. He passed away at the age of 8. His favorite color was red and he loved to build LEGO creations. He could often be heard exclaiming "That's amazing" or "That's super annoying." His mom wants him to be remembered for his no-fear attitude and beautiful smile. Lucas dreamed of being a chef or a Master Builder. We will never forget Lucas!! 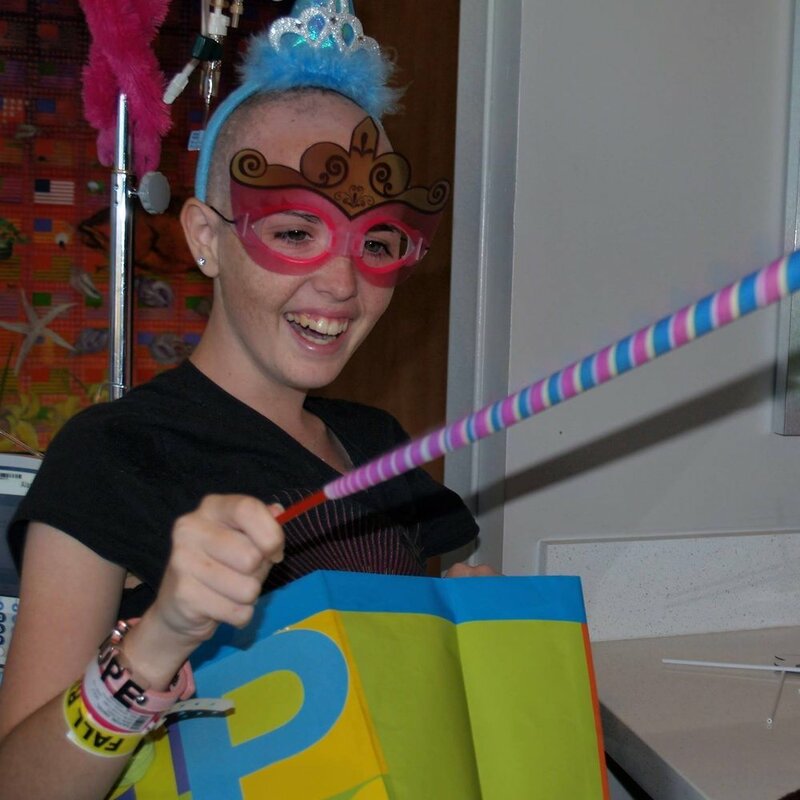 Kayla was diagnosed with rhabdomyosarcoma-stage IV just four days after her 14th birthday. She fought hard for 20 months with a couple weeks of remission, but she went to went to Heaven at 15 and a half, just a few days before Christmas. Her parents were going to surprise her with a car. She loved to drive and was so excited about getting her license. Kayla’s favorite color was a light turquoise blue that was popular at the time. She was very active. She loved volleyball, spending time at her grandparent's farm, cooking, swimming, singing, taking care of babies, the beach and her family. Kayla was very mature for her age, but she loved to have fun, and she had an unshakeable faith in God and a positive outlook even in the tough times. She dreamed of playing division I volleyball in college and then becoming a pediatric oncology nurse. She wanted to help the children fighting the battle she knew so well. Her mom said, "She left a huge hole in the hearts of our family and we miss her everyday!" We will never forget Kayla!! 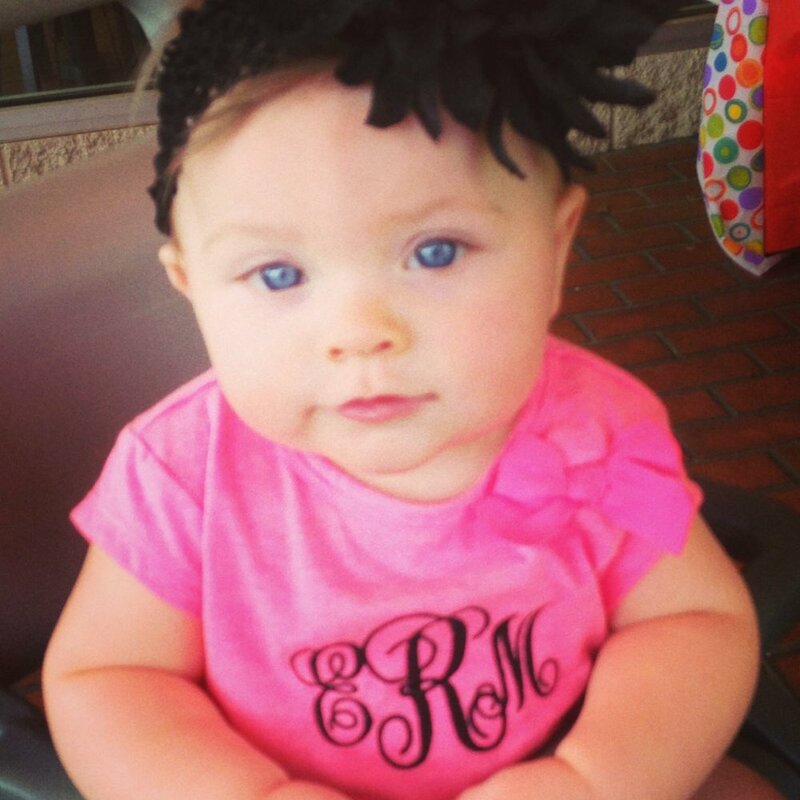 Elyse was only 11 months when she was diagnosed with a PNET brain tumor. She passed away less than a year later at 17 months. Her favorite colors are pink and purple, and favorite thing to do was play with her big brother, Ridge. This sweet girl always had a smiling face, a bright personality and never stopped laughing. She was too young to really have a dream of her own, but according to her dad, "she has concurred more in her short life than I have, and she turned a nonbeliever into a saved, new strong believer in Jesus." We will never forget Elyse!! Elaine was 15 when she was diagnosed with Metastatic Alveolar Rhabdomyosarcoma. She passed away when she was 16 years old. Elaine's favorite color was purple and she loved hanging with her friends and being on the high school tennis team. Her mother said it was her smile, sweet nature and kind heart that made her stand out among all others. Her dream was to go to Auburn and become a veterinarian. She loved animals and left her mother with three dogs and a fish. However, she passed away before she could even graduate high school. We will never forget Elaine!! 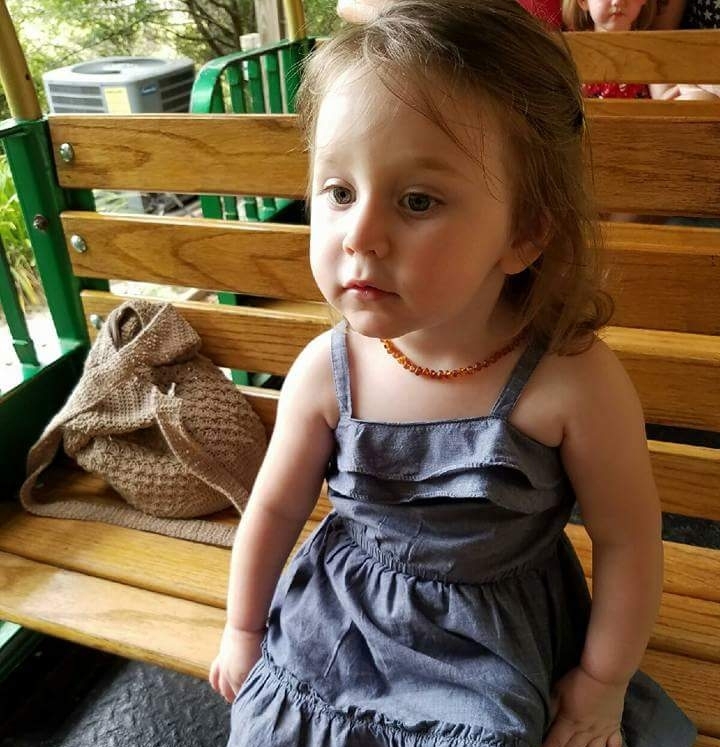 Anna Caroline was diagnosed with Pre-B cell Acute Lymphoblastic Leukemia on her 2nd birthday. She passed away 40 short days later. Her favorite things to do were play with her big brother, Ryder, and sing and dance around. Her incredibly sweet spirit was the one thing that people first noticed about Anna Caroline. According to her grandmother, "she was so sweet and even-tempered. She loved everyone and everyone loved her." Her family would like her to be remembered for the tremendous courage she had in the face of this horrible ordeal. Anna Caroline was too young to realize what her dream would be, but before she was born, the Lord gave her grandmother an open vision of Anna Caroline. He called her by name. He said, "Anna Caroline W. shall dance before me." In the vision, Anna Caroline stood posed in a dancer's position. She was dressed in a white top with a purple flowing skirt. Her dark hair was pulled tightly in a bun. Her face was looking upward with one hand extended upward in praise to her Jesus. Based on that vision, her family believes she would have been a dancer when she grew up. "I can only imagine her now dancing before the King of Kings and Lord of Lords," said her grandmother. We will never forget Anna Caroline!! 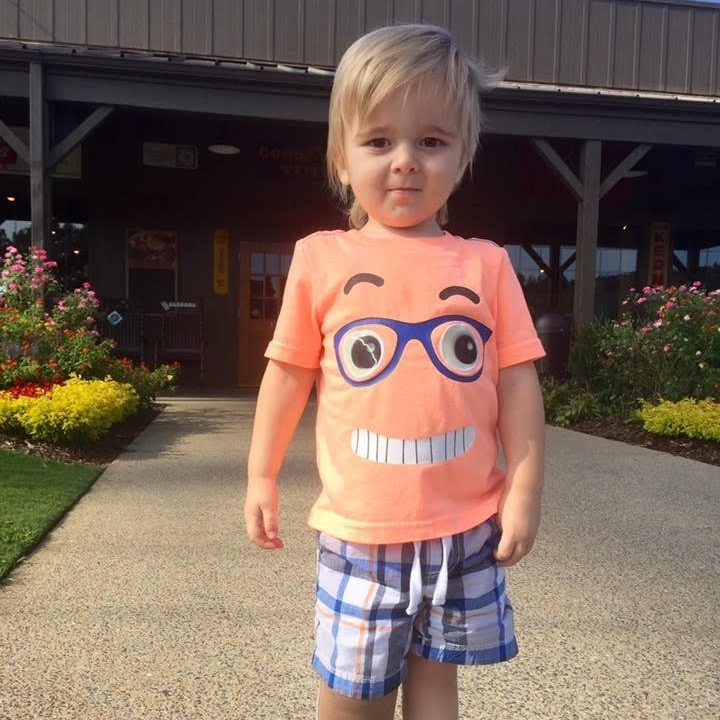 Eddie was diagnosed with Hepatoblastoma at the very young age of 5.5 months. He passed away when he was 3. Eddie had several favorite colors, including yellow, blue and green. His favorite thing to do was play with play-doh. He loved saying his ABCs all of the time. Eddie's mom wants him to be remembered for "how smart and sweet he was, how much he loved Cracker Barrel and Chinese buffets and how special he was to us and we tried everything to save him." Eddie was too young to really have a dream of his own. Cancer took that from him. We will never forget Eddie!! Libby Claire was 4 years old when she was diagnosed with Stage 4 High Risk Neuroblastoma. She passed away at age 7. Her favorite colors were pink and purple. Libby Claire loved to dress up and entertain by putting on silly shows with her friends. She had a bright shining light and smile that lit up any room. When she said I love you, it always came out "loves you loves you" to her mama and daddy. She had a love for life and loved others big. According to her mama, Libby Claire wanted to be a “doctor for sick children" when she grew up and often worked on her cure for cancer while she was alive! "I still have a diagram she drew with her cure for cancer, which included that you must drink lots and lots and lots of water and you will be cured," said her mom. "She was passionate about life and finding a cure for cancer. That’s why I am so passionate about funding research so I can be a small part of helping her dream become reality!" We will never forget Libby Claire!! Natalie was 3 years old when she was diagnosed with T-Cell Acute Lymphoblastic Leukemia. She passed away 17 days after her 5th birthday. Natalie's favorite color was purple, and she loved to watch her brother play ball, dress up with her sister and watch YouTube Kids. And she loved to boss her little brother around, but she was also his biggest protector. She was very "sassy and brave" and would tell the doctors "Hold up big fella." Her mom wants people to remember her strength. "She went through a lot in her 5 years on this Earth and she was so brave. She never gave up! And she loved with all her heart." Natalie's dream was to be an astronaut/doctor. We will never forget Natalie!! 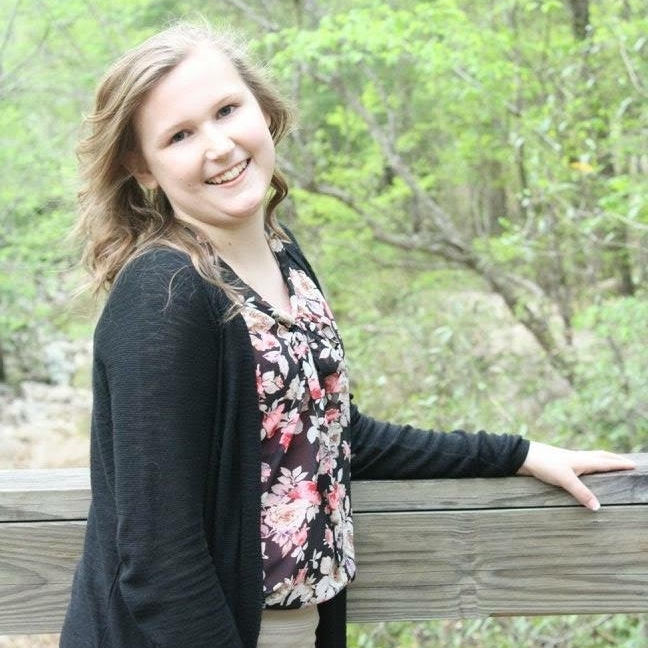 Angel was diagnosed with Ewing sarcoma one short month before her Sweet 16. She received her Heavenly healing at the age of 18. Her favorite color has always been purple, and she loved music, art, theater (specifically Broadway), going on road trips, writing poetry and song lyrics and helping others who were hurting, especially kids who were also fighting cancer. She had always wanted to be a big sister, and she was an amazing one for the short time the sisters had together. Angel had the most beautiful smile and contagious laugh. Those were the two things people first noticed about her. She loved life and never gave up, no matter what happened. She was also very much real and was not afraid to tell you exactly what she thought about you. She loved to be herself, whether it was coloring her hair purple, Ariel red or blue, or wearing whatever she wanted just because she could. You would often see Angel with "duck lips" and a peace sign thrown up, and her favorite saying was "Refuse to Sink." She truly believed that "Happy Girls are the Prettiest," and that's the way she lived her life. Her dream was to do makeup on Broadway, but she never got that chance. We will never forget Angel!! Heidi was diagnosed with Acute Lymphoblastic Leukemia when she was 8 years old. She passed away when she was 16 years old. Heidi's favorite color was blue, and she loved doing arts and crafts, baking and spoiling her niece and nephew. Her favorite saying was "Never give up hope." Her family wants Heidi to be remembered by "her choice to shine and bring glory to God through her difficult journey. That she lived her motto and NEVER gave up!" Heidi's dream was to be a child life specialist. We will never forget Heidi! !